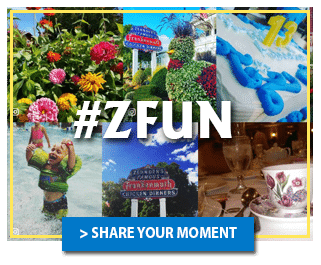 Why did you receive an email communication from Zehnder’s? Zehnder’s may send email marketing communications promoting Zehnder’s products, services and events. These emails may include special offers, product announcements and other messages in regards to Zehnder’s products, services and events. Our email marketing communications are permission based only. If you have received an email communication from us, our records indicate that you have expressly shared an email address for the purpose of receiving information regarding Zehnder’s products and services in the future, or you have registered or otherwise have an existing relationship with us. How can you “opt-out” of receiving emails from Zehnder’s? Each email communication sent contains an unsubscribe link that you may follow to stop receiving emails from Zehnder’s. To unsubscribe from future Zehnder’s communications, send an email to unsubscribe@zehnders.com. Zehnder’s follows strict security measures to protect against misuse, loss and alteration of data used by our system. Zehnder’s will never share, sell, or rent individual personal information with other entities for their promotional use without your advance permission or unless ordered to do so by a court of law. All information submitted to Zehnder’s is solely available to authorized personnel of Zehnder’s and Zehnder’s affiliates managing this information for purposes of contacting you or sending email communications based on your request for information, and to contracted service providers for purposes of successfully achieving our communication service to you. When Zehnder’s sends you emails, we may include a Web Beacon to allow us to determine the number of guests who open our email communications. When you follow a link we may record this transaction to allow our marketing department to customize our offerings to you and therefore, provide better information to you. Web Beacons collect only limited information, such as a cookie identifier, time and date of a page being viewed and a description of the page on which the Web Beacon resides. If a Web Beacon exists within an email communication, you can refuse such Web Beacon at your discretion. If you do not wish to receive Web Beacons via email, you will need to disable all HTML images or refuse HTML text via your email software provider.